You can never go wrong about maintaining your home by cleaning the gutters prior to every winter. Everything is going to freeze eventually but you want to make sure all the drains are clean so that the water can drain properly. Ice dams are dangerous and eavestrough are the number 1 source of ice damming. If the water is trapped inside the gutters ice dams will get much bigger than you expect. 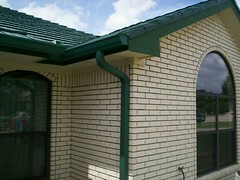 Also having dryer, kitchen hood fan vent and bathroom fan vent exiting from the soffit can be source for the ice dams. Hot moist air feeds the ice dam by creating a cycle of thaw and freeze, which turns into a missive iceberg in no time. These are the potential problems that can occur during cold winter months. Be sure to clear all the dirt, leaves and debris from the gutters and reinforce any lose or saggy sections by using screws not nails. Never use a nail unless u can screw it. 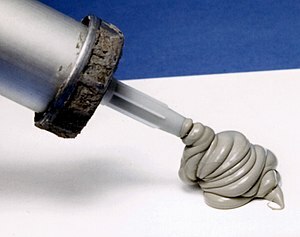 Be sure to re-caulk all the vents, exhaust vents and all the exposed finishing nails. Look for popping nails and remove them. Once removed apply caulking to the nail hole and apply pressure to make sure caulking gets right in there. It is highly recommended to hire a professional roofing company to perform such task. If it is safe and accessible for you to perform go right ahead. Secure your ladder from the top and the bottom before getting up there. Do not lean side to side, just get down and reposition your ladder. We are a fully insured roofing company serving Ottawa and the region for residential and commercial roofing, siding, foundation repairs and snow removal/plowing services. Request your free quotes and estimates by phone or email and we will be more than happy to assist you.